Between 4 and 20 July 2017, Dr. Daniel E. Miller led nine individuals--undergraduate and graduate students from the University of West Florida, in addition to members of the public living in the United States and abroad--on a tour of Central Europe. The group enjoyed the comforts of a chartered coach to visit locations in four countries--Kraków and Auschwitz, Poland (four nights), Tatry National Park, Slovakia (three nights), Strečno Castle and Bratislava, Slovakia (one night), Vienna, Austria (four nights), and Prague, Czech Republic (four nights). The original advertisement for the tour is located here. After strolling through the medieval treasures of Kraków, the group sampled typical Polish food (something that is a feature of every location the tour visited). The full day at the Auschwitz Concentration Camp was a sobering experience that solidified the horrors of the Holocaust. 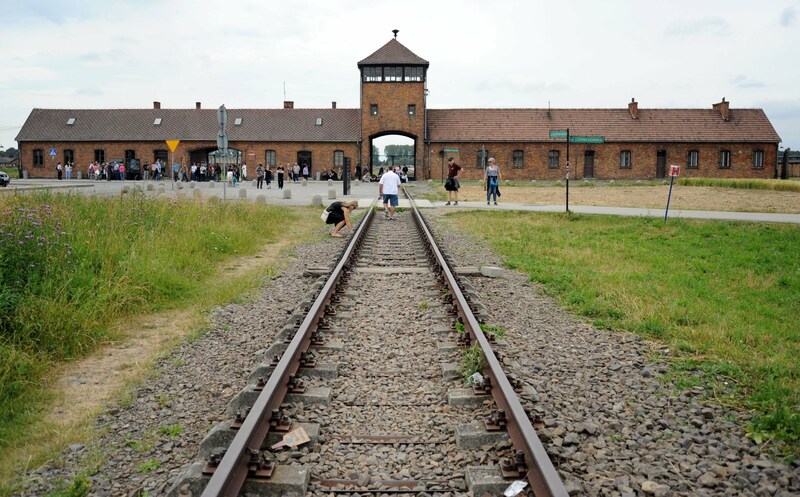 The camp guide for our group was particularly knowledgeable, and we moved slowly enough through both the original Auschwitz facility and the enormous expansion of the camp at Birkenau to study the interpretative material. After the official part of the tour ended, everyone had time to explore less frequented sections of Auschwitz-Birkenau. Once the group crossed the border into Slovakia, Dr. Miller and the tour organizer based in Prague, Ing. Lenka Kocková, arranged to visit a small folklore museum in the village of Ždiar. Pleasantly surprised, five members of the group dressed in authentic folk costumes, some at least 70 years old, to participate in a mock peasant wedding. Those who played the bride and groom, however, actually were engaged to be married once they had returned to the United States. In the Tatry Mountains, the participants stayed in a hotel in Horný Smokovec and had two days to hike along the path that weaves above and below the tree line, visit the nearby city of Poprad, with its noted water park, or just relax in the tourist villages along the path of the narrow-gauge rail line. Once we left the Tatry Mountains, the participants were in for another unscheduled visit, this time to the medieval castle of Strečno, which the Slovak government partially restored. In Bratislava, there was a short tour of the city center, and members then wandered through the old section of the city, up to the castle, or along the streets overlooking the Danube River. Vienna offers much in the way of art and architecture, and in an effort to enable the participants to have enough time to see what they wanted, the city tour lasted a little more than five hours. We started at the Votivkirche and progressed along the Ring, through the Hofburg, and to the Stephansdom. A few individuals continued with Lenka and me to the Opera. On tap the other days were trips to art museums, such as the Belvedere Palace, to the Habsburgs' former residence at Schönbrunn Palace, and elsewhere. Shortly after crossing into the Czech Republic, the group made another unscheduled stop for lunch and sightseeing in the town of Třebíč. There was enough time to visit the late Romanesque Basicila of St. Procopius, the Jewish cemetery, and the former Jewish Quarter. Late that afternoon, we were in Prague, and the next day, the members visited the highlights of the city. Afterward, they had more than two days to explore the city on their own. I have led ten tours to Europe since 1990--six of them through Lenka Kocková--and will plan another in the future. Continue to check this website for information about my next group going to Europe. I also welcome you to contact me by e-mail at miller-dem@CentralEuropeanObserver.com. 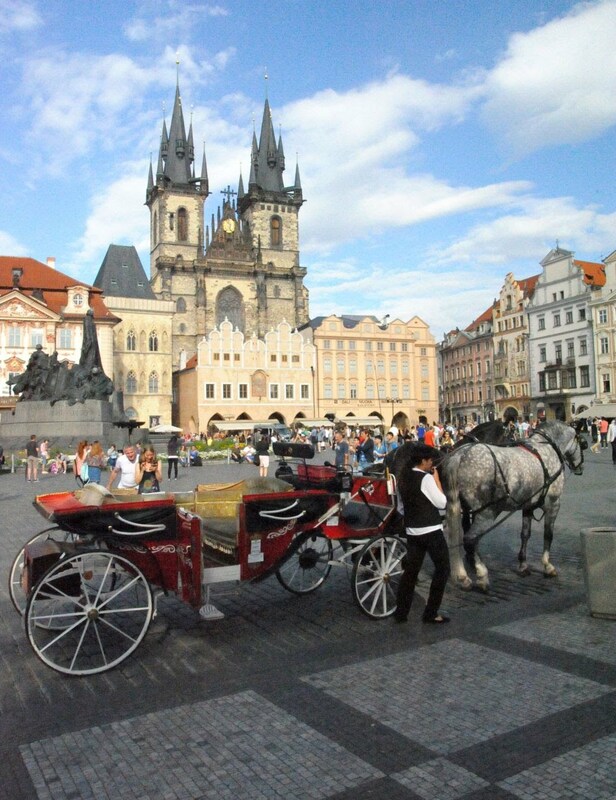 In the meantime, if you are interested in visiting Prague or another location in the Czech Republic or if you wish to plan an event or a group tour in Central Europe, contact Lenka Kocková at Aura Tours on Facebook or at kockovalenka@gmail.com. Both Lenka and I wish everyone happy trails!